In this episode we share the story of two Marjory Stoneman Douglas High School Students who, through the introduction of RTM into their therapist's practice, get cleared of the traumatic emotions stemming from their experiences on February 14, 2018. The girls share their initial resistance and reaction to therapy in general and how their wonderful therapist, Laurie Norman, helped restore their lives in ways they never thought possible. For students in the Coral Springs/Parkland area, connect with Laurie at: laurielnorman.com. In this episode Allen & Jeff join Kyle, who received another treatment session with RTM for another trauma he was carrying. Kyle shares what life has been like since his first session and how significant some of the changes in his life have been since. Allen makes the argument that these are the typical results with RTM and ultimately we as a community benefit when we get the "real" Kyle back from the prison of trauma. In this episode licensed mental health counselor Shannon Rowell joins us to talk about how birth trauma led her to break the stigma of counselors not being able to ask for help themselves. Shannon was treated with the RTM protocol at a training in Orlando, FL and shares her experience of how an expected birth situation became a trauma robbing a mama of her joy in parenting and how RTM gave it back. In this episode Ally Sullivan, a junior at Marjory Stoneman Douglas High School in Parkland, FL, joins us to tell her account of the events of February 14, 2018 and how her love for Walt Disney World fireworks became a trigger for gunshots until her therapist trained in RTM and implemented it in her practice shortly thereafter. Listen as Laurie Norman, a licensed mental health counselor who practices in Boca Raton, shares how the very first session of RTM brought drastic change in Ally. July 22, 2017, a mother lost her 19 year old son in a car accident and her life instantly changed forever. Elise Eslinger and her husband Don struggled through the grieving process with Elise crying out for hope and fearing a day she'd want to take her own life. Later in her grieving process she was treated with RTM and now has a new normal of her choice that she is living, today, after just a few 90 minute sessions. On February 14, 2018 a gunman walked into Marjory Stoneman Douglas High School in Parkland, FL and opened fire, killing 14 students and 3 faculty in an every town USA city that never would have expected this to happen. Kimberly Krawczyk is a math teacher at the school who is speaking up for her students who have lived over a year having to be #MSDStrong. In this episode Kimberly shares what treatment options were provided for students, as well as the perspective of a teacher who went back to school two weeks after the aftermath of tragedy. Read Kimberly's original article at: https://www.the74million.org/article/a-parkland-teacher-speaks-out-after-the-shooting-the-district-did-not-help-us-deal-with-the-trauma-with-2-new-suicides-were-still-suffering-the-consequences/. In this episode Morgan, of Southeastern Guide Dogs, shares his story of working with detection dogs as a members of the Air Force Bomb Detection Squad and how after suffering from PTSD, a dog saved his life. Morgan was treated with RTM for his traumas and while the dog may have saved his life, RTM is giving him his life back. In this episode Kari and Jeff meet with Matt and Mandi, a young married couple who after 5 years of marriage finally broke through to a new level of intimacy after Mandi had her childhood sexual trauma processed and healed through memory re-consolidation. Sexual abuse is another one of the many faces of PTSD and another reason we are excited to see therapists trained in the RTM (Re-consolidation of Traumatic Memories) protocol. In this episode, Michael Castrilli shares of the unbelievable success rate he is having with his clients and Dan and Jeff get to ask him his opinion on who the many faces of PTSD are and what percentage of the population they represent. Michael is a licensed mental health therapist in Central Florida who, through 22 Zero, trained in the Re-consolidation of Traumatic Memories (RTM) protocol, in Albuquerque, New Mexico during the Fall of 2018. 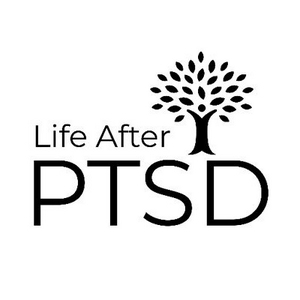 In this episode, Army vet and friend of the show Dan Jarvis, joins us to talk in depth about what prolonged exposure is, how it's used on veterans with traumas and how the experience of going through PE can be equally traumatizing. In this episode we interview Kyle & Morgan, both of whom were treated with RTM for their combat related PTSD at a counselor training in Winter Haven, FL. Kyle & Morgan have been provided with guide dogs by Southeastern Guide Dogs, a wonderful organization supporting our veterans. Still, these two gentlemen longed for more permanent relief to their PTSD and through RTM, they found it. In this episode we talk with Eric Bricker, a licensed mental health counselor from Boca Raton, FL about how RTM is a valuable tool in the treatment of traumatic grief struggles, who often develop substance abuse patterns as they attempt to cope. In this episode we bring two veterans on who went through the RTM protocol as part of a live demonstration at a training for clinicians. Both share their response to what they went through. If you've ever wondered about the perspective of our servicemen toward the present PTSD treatment options, listen and learn as these men share how many of those only made things worse and how RTM had an instant dramatic healing effect. In this episode licensed mental health therapist Melinda Bruck joins us to talk about her experience in an RTM training where she, a participant, was invited up in front of her peers as a live demonstration. She discusses her excitement for what RTM will bring to her practice where she treats trauma sufferers plagued by the negative emotions of painful memories. In this episode retired Lieutenant Colonel and former Green Beret (United States Army Special Forces) Scott Mann joins us to talk about his own journey of healing. Scott spent 23 years in the U.S. Army, 18 as a Green Beret. Scott and a team of actors will be touring across the country in 2019 performing “Last Out: Elegy Of A Green Beret,” a play which helps civilians better understand the cost of combat to our veterans and their families, and to help warriors utilize the power of story to let go of their pain, healing the wounds of war. In this episode, licensed mental health therapist Lynne Healey joins us to share how her recent training in RTM has already broadened her abilities as an experienced clinician to relieve suffering in her clients plagued by severe trauma. Even with extensive experience and training already, learning RTM reminded her there's still room to grow. In this episode we meet one of the many faces of PTSD. Todd & Mary Millsaps, of Operation Angel Wing, based in North Carolina, join us to tell of their firsthand experiences with trauma and PTSD and how discovering RTM has changed the way their non-profit helps those they serve that struggle, in addition to helping Todd personally walk through a tragic event 30 years in his past. In this episode Allen Kanerva joins us to answer questions about what trauma truly is, what triggers it, how many people actually suffer from PTSD and who the many faces of post traumatic stress truly are. In this episode Allen Kanerva and Dan Jarvis talk about the stigma of the word "disorder" and how PTSD, as it's presently labeled, not only mis-categorizes the real problem, but actually prevents strugglers from seeking the help they need to get healed. In this episode Dan Jarvis of 22 Zero explains how isolation is the greatest enemy to healing PTSD. Dan details his own journey as an Army vet reengaging civilian life and how isolation nearly destroyed him. In this episode Dr. Frank Bourke of the Research and Recognition Project and the developer of the RTM Protocol joins us to talk about how, surrounding the tragic events of September 11, 2001, RTM came to be. Also featuring special guest Allen Kanerva. In this episode Dan Jarvis of 22Zero joins us once again along with his wife Gwinnell. Gwinnell shares the story of Dan’s struggles from her perspective and how together they found a new purpose that included healing for Dan but also for the masses they now reach with their organization. In this episode we learn about the events of February 14, 2018 in Parkland, Florida where tragedy struck at Stoneman Douglas High School. Joycy Lacombe serves as a counselor in the Coral Springs & Parkland communities and shares her memories from the day those cities changed forever. In this episode we talk with Brian, an Army combat vet who enlisted at 20 years old and toured in Iraq and Afghanistan. Brian shares his incredible journey, culminating with his struggles with PTSD, along with the many unsuccessful treatments that left him demoralized, before ultimately finding healing with the RTM Protocol. In this episode Allen Kanerva of Inspired Outcomes joins Kari Russo and Jeff McLaughlin to talk about the science and mechanics behind the RTM Protocol (Re-Consolidation Of Traumatic Memories), which is being used to demonstrably heal PTSD. In this episode Dan Jarvis of 22Zero joins Kari Russo and Jeff McLaughlin again to tell his deployment and PTSD story. Dan shares the prevalent treatments for PTSD, specifically prolonged exposure (PE) and how ineffective this was for him in his journey to heal. We discuss what the RTM (Re-consolidation of Traumatic Memories) protocol meant for Dan and what it can mean for other strugglers in the future. In this pilot episode Allen Kanerva of Inspired Outcomes and Dan Jarvis of 22Zero join Kari Russo and Jeff McLaughlin to talk about the history of PTSD treatment and what the RTM (Re-consolidation of Traumatic Memories) protocol means for the future.